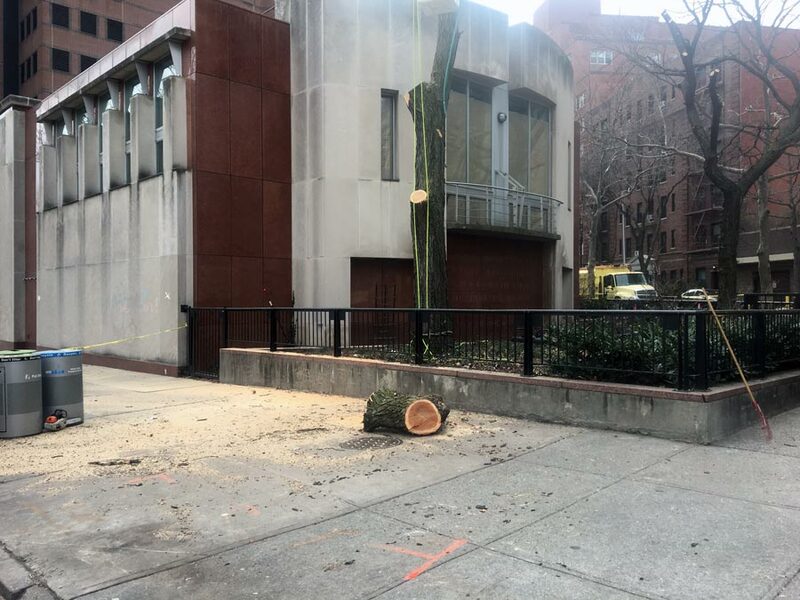 A controversial project in Brooklyn Heights sparked protest yesterday morning as developers cut down trees to make way for a condo tower on the site of a former public library. 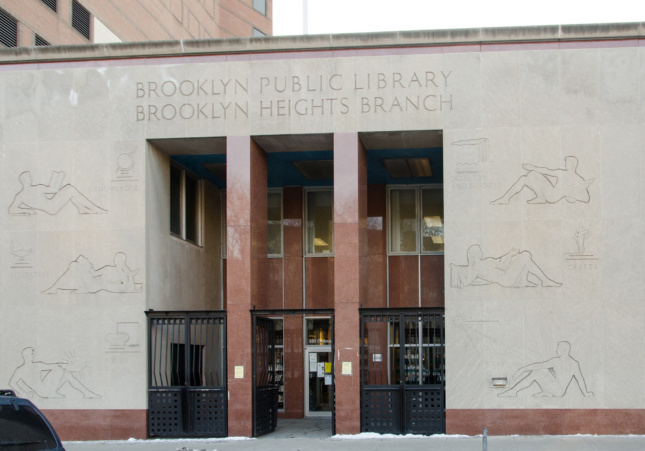 The project in question is the Brooklyn Public Library’s (BPL) former Business and Career Library. Last year, developer Hudson Companies won a $52 million contract to replace the library’s building at 280 Cadman Plaza. Hudson Companies’ plans to redevelop the site includes a 36-story tower with 114 units of off-site affordable housing. As part of their deal with the city, the developer would build a new, 27,000-square-foot library located at the base of the new building. As The Architect’s Newspaper reported last November, Hudson Companies filed plans to demolish the library in early November, even before they closed the deal for the site. Department of Building (DOB) demolition permits have been filed, though their final approval is pending. As the building inches towards demolition, site conditions have deteriorated in some areas. 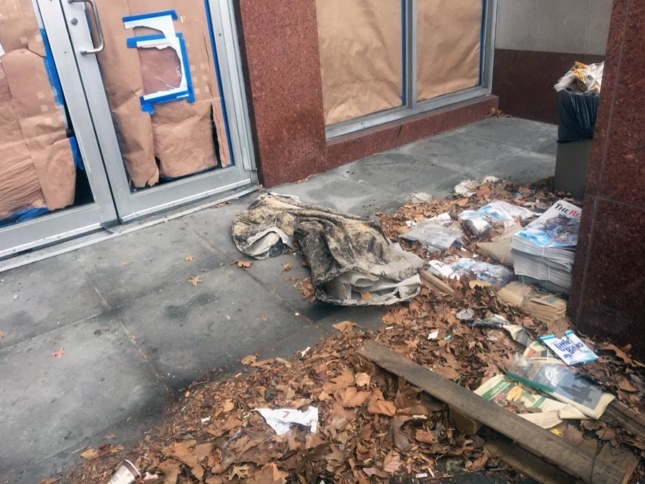 A recent visit revealed a pile of leaves and trash that has accumulated around the library’s former entrance, which is visible from the sidewalk but encircled by a metal security gate. Debris from the construction site has been the subject of ongoing community concern, especially since asbestos removal began in October of last year. The ongoing development begs a final question—what’s happening to the art on the library facade? 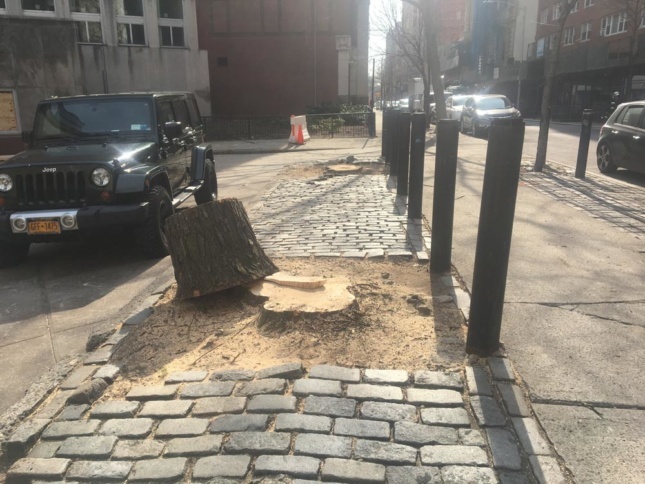 Working with an as-yet unnamed building conservation and repair company, Hudson has plans to remove and store the panels, while BPL is developing plans for the panels’ eventual placement. Correction: This article initially stated that demolition permit approvals were pending the site’s transfer of ownership from the city to Hudson. The permits’ status is independent of the deal closing.